﻿ Varsinais-Suomen monikulttuuristen yhdistysten liitto ry – SONDIP – Varsinais-Suomen monikulttuuristen yhdistysten liitto ry. SONDIP – The union of multicultural associations in South-West Finland is an organization promoting Finnish multiculturalism, which currently has 24 member associations, set up in 2006. Sondip is involved in influencing decision-making by participating in public meetings and work groups at both the national and municipal level. The aim of the association is to increase the visibility of membership associations and to promote interaction and cooperation between authorities and multicultural associations. 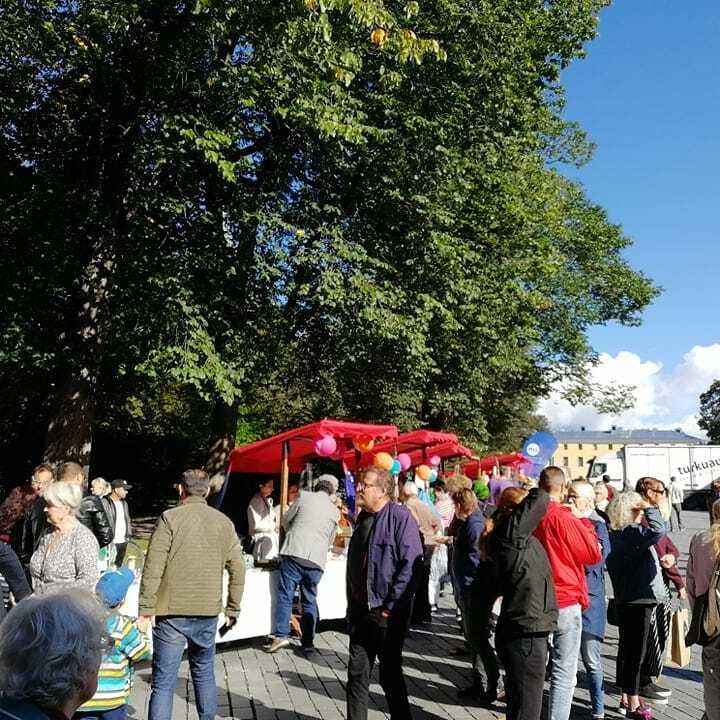 Organisations and associations can now register for the Market of the Possibilities in Turku (Turun Mahdollisuuksien tori) . You can register your association for the market here. OBS: the registration form is in Finnish. We recommend you register soon. The places will be filled in the order of registration. In the market, your association can introduce your activities and goals to visitors, do workshops or other fun activities such as games or quizzes or sell products such as pastries, food and handcrafts. You also get to enjoy the global atmosphere and join the work for more just world. The Market of the Possibilities will be held on 15th of September at Vanha Suurtori. Come to our planning meeting on 24th of April at Sondip’s office (Hämeenkatu 15, 20500 Turku) at 5PM. We will be deciding on the theme and stage programme of the event as well as hope to hear the participating associations wishes for the event. The Market of the Possibilities in Turku is coordinated by Sondip ry. 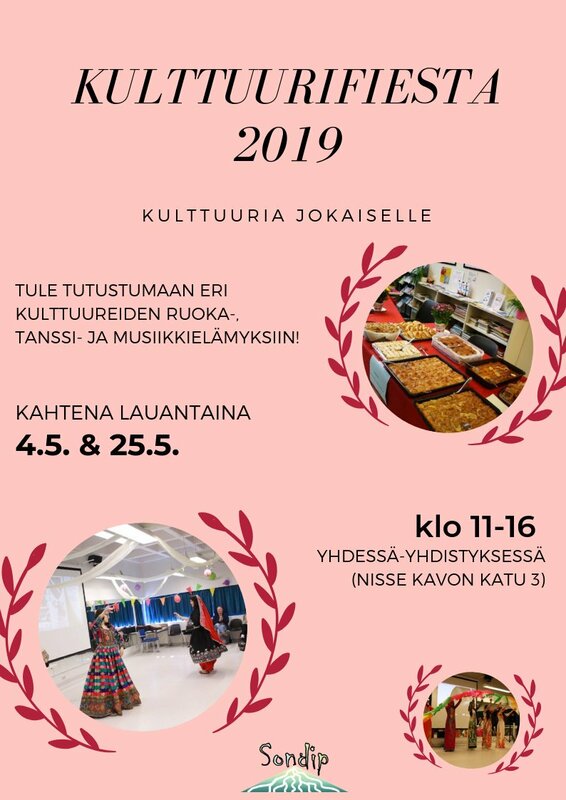 Spring festival Etnofest in coming again on 18th of May at the Pelttari Field (Pelttarinkatu 6) in Varissuo, Turku from 3PM to 7PM. We also have the annual Culturefiesta coming on two Saturdays: 3rd and 25th of May. Don’t forget to visit our blog for the latest news and information on our events, trainings and other activities! You can read up on our EVS -volunteers’ blog posts about their experiences working at Sondip in Finland. The office is open from Monday to Friday from 8:00 to 16:00.